Conco, Inc. is a full time, full service supplier of ammunition containers and container-related services. From the most basic container models to the latest "insensitive munitions" features, our corporate focus is on fully meeting your ammunition container requirements. 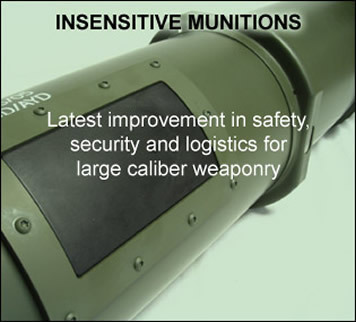 Conco produces several rectangular box designs and a broad range of cylindrical containers including both the older style round bell containers and the many current models of square bell containers, including the latest insensitive munitions "window" designs. Conco also provides many container related services including container modification, design assistance, special features, full stenciling, tactical palletization, special colors, internal packaging installation, sticker and label application, prototyping, small batch production and bringing new designs to production. Conco also offers complete and partial container refurbishment and container re-use preparation. Conco is a designated "Small Business" with 50 years of experience dedicated to the ammunition container market. We are centrally located in Louisville, Kentucky. 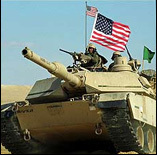 We are currently the prime contract container supplier for several U.S. Army ammunition programs. ISO 9001:2015 certified. When you think containers ... think Conco. PROUDLY SUPPORTING OUR MILITARY FOR 50 YEARS!